Unless that champion is Zoe. 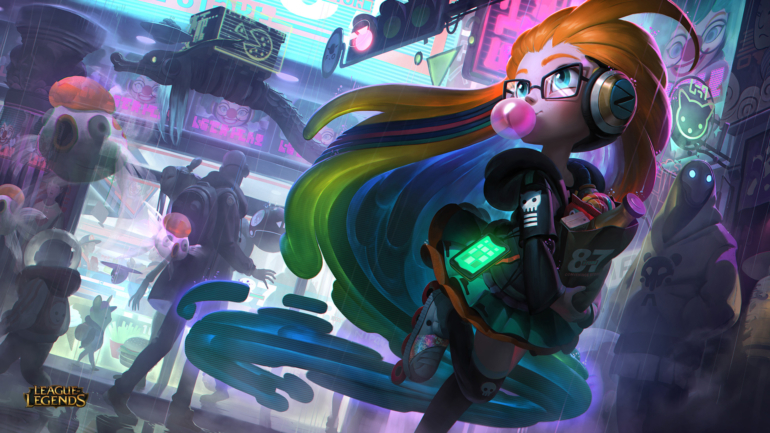 Zoe has been one of the most divisive champions in League of Legends since her release in November. The main reason for the wedge that she’s driven between Riot and its players is her kit, which has been deemed extremely frustrating to deal with. It doesn’t take more than a few seconds on any given day to find the community’s questions and complaints piling up on the League of Legends Reddit community. Namely, how has she remained so irritating for so long? And, as more of a direct attack at Riot, why did the balance team think a one-second cooldown nerf in Patch 8.3 would be enough? Zoe is a problem, and the players want a fix. In yesterday’s edition of Ask Riot, with Zoe’s face plastered right up on the front of the page and the title of the post being, “Balancing Champions,” those players thought they would be getting some answers. After all, Ask Riot is a long-running series of articles in which Riot employees answer some of the community’s most pressing questions, and the players certainly had a lot of questions about Zoe. Unfortunately, the very first sentence of the article ruined those hopes immediately. To put that simply, the design team does cares whether a champion is polarizing, like Zed, Teemo, Yasuo, or Zoe, but they usually won’t do anything about that frustration for problematic champions. The post then explains that player frustration often doesn’t point at any specific problem, and that usually the things players are frustrated about are perfectly healthy gameplay functions that don’t really require attention, such as Zed deleting your health bar by executing his entire combo perfectly. While that makes sense for the most part, there’s a very big problem with this mentality. What about champions that have created so much frustration, that the frustration alone is now the problem? When playing as a champion isn’t rewarding, and playing against a champion is nothing but stressful, how can that champion be considered a successful design? Zoe was used as the basis of this entire Ask Riot, so we’ll use her as the example. Zoe’s entire damage output is dependent on one ability, and all of her other abilities help her to land that one ability successfully. We’re talking about her Paddle Star, of course, and its insane damage, as shown in the LCK match between Kongdoo and Jin Air last week. You can outplay Zoe all day long. You can dodge her skills. You can engage between her cooldown windows. But if you mess up one time, just once, and you get hit by that huge Paddle Star upon that one mistake, Zoe can snowball and defeat you. That’s incredibly frustrating to play against, simply because no other champion has that type of unrelenting punishment. Zed can snowball off of one kill, sure, but he has to land his entire combo flawlessly to pull it off. For Zoe? No, just one ability. Let’s compare Zoe to Nidalee circa 2014. Before Nidalee’s rework in season four, all of her damage relied on her javelin. She didn’t have fancy transformation combos to land, she just had to keep chucking spears until one landed that could just about one-shot a squishy target. She was reworked to pull power away from her one-shot ability and add it into other parts of her kits in order to make playing her more rewarding and playing against her less frustrating. Why then, when Zoe shows the exact same symptoms right down to the one-shotting and player frustration, are players told that their frustrations are probably just misguided in an installment of Ask Riot? Zoe is actually getting some pretty sizable nerfs in Patch 8.4—nerfs that were added onto the PBE within hours of this Ask Riot being published—but this is still an extremely dangerous precedent to set. Of course, players are going to complain when they lose games because they’re pissed off. And of course, most of the time, those complaints don’t actually warrant nerfs or prove that a champion actually has problems. But to make the blanket statement to your playerbase saying that you don’t balance champions based off of feedback seems silly. This is especially true when piles and piles of negative feedback are the real problem.